BOSTON, May 10, 2011 — Middle Tennessee State University (MTSU) in Murfreesboro, Tennessee, boasts the largest undergraduate enrollment in the state with more than 26,400 registered students. The large student body translates to an active campus, from academics and athletics to a variety of student organizations. On the athletic front, the MTSU Blue Raiders is one of 12 Sun Belt Conference teams, participating in 17 intercollegiate sports at the highest level of NCAA athletics. Stadium audio improvements have been a recent focus on campus, beginning with a PA system upgrade featuring Technomad Berlin loudspeakers for its 2,500-seat soccer and track and field venue. 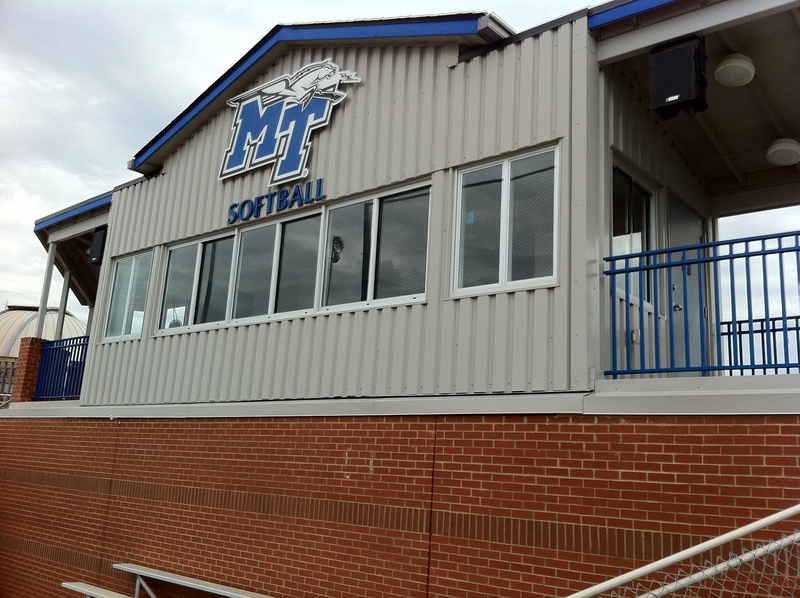 The success of the first Technomad installation has led to an audio upgrade for Blue Raiders Softball Field, where Technomad Noho loudspeakers now deliver intelligible voice and high-quality musical reproduction to teams and up to 500 spectators on game days. Two Noho weatherproof loudspeakers replaced six failing speakers that lined the backstop. The Nohos are mounted just off the press box at the left and right sides, projecting clear audio across the field and to every corner of the bleachers and dugouts. The campus opted for Technomad’s specialty yoke mounts, which allowed the installers to mount and suspend the Nohos from metal beams with a single bolt — greatly simplifying the installation. 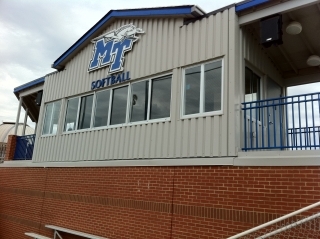 Josh Hoevelmann, electronic equipment engineer for MTSU, added that the Technomad loudspeakers not only provide great sound and protection from the elements due to weatherproof construction, but ultimately minimized costs for the overall audio upgrade. Hoevelmann added that the Nohos provide the wide frequency range required for musical breaks, noting they tend to be brief during softball games, where intelligibility of voice for live PA announcements is more important.